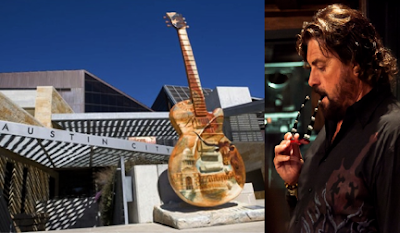 Carlsbad, Calif. (October 27, 2016) – As part of its 32nd Annual NAMM Technical Excellence & Creativity Awards (NAMM TEC Awards), The NAMM Foundation has announced that rocker Joe Perry will receive the prestigious Les Paul Award. The annual award is given on behalf of the Les Paul Foundation and honors individuals that have set the highest standards of excellence in the creative application of recording technology in the spirit of the famed audio pioneer, inventor and musician, Les Paul. The award will be presented at a January 21st ceremony being held in Anaheim, CA as part of The 2017 NAMM Show. Perry, who was included in Rolling Stone’s list of “100 Greatest Guitarists of All Time,” is also scheduled to perform live before an audience of pro audio and sound production inventors, musicians and industry friends. "Anytime my name is mentioned in the same sentence as Les Paul, it’s a huge honor,” says Perry. “Getting an award bearing his name is the icing on the cake." for a long list of accolades that reach beyond the band’s more than 150 million albums sold. In the role of principal songwriter, lead guitarist, and as producer for multiple tracks featured on several notable Aerosmith albums, Perry’s talent has helped contribute to the super group’s four Grammy® Awards, (one of which includes Perry’s guitar-based instrumental “Boogie Man”); six Billboard Music Awards; twelve MTV Video Awards; and two People’s Choice Awards, to name a few. "Joe Perry was a friend of Les Paul's and is undoubtedly one of the most innovative and talented musicians of our time,” says Michael K. Braunstein, Executive Director, Les Paul Foundation. “His ability to push boundaries of the electric guitar with his signature sound and deft playing ability embodies the true spirit of what Les Paul and the award given in his name stands for. The Les Paul Award has been presented at the NAMM TEC Awards to remarkably-distinguished and accomplished individuals from the music industry, including such luminaries as Sir Paul McCartney, Brian Wilson, Stevie Wonder, Bruce Springsteen, Pete Townsend, Slash and last year's recipient, Don Was. The Les Paul Foundation could not be more thrilled to be adding Joe Perry to this amazing list." Hollywood also became a part of Perry’s musical resume when his familiar riffs were heard on the band’s hit song “I Don’t Want to Miss a Thing” (from the soundtrack to “Armageddon”), which received an Oscar® nomination for Best Song. Among many other TV and film projects, Perry also composed the theme song for the “Spiderman” animated TV series and provided the instrumental music for “This Thing of Ours,” starring James Caan. Watch for news related to his upcoming sixth solo album and learn more about Joe Perry here. Along with Perry, famed Aerosmith engineer and producer Jack Douglas, will be inducted into the NAMM TEC Hall of Fame, which was created nearly thirty years ago to honor pioneers of audio technology, as well as the music industry’s most accomplished producers and audio technicians. Douglas is associated with many of the band’s most iconic releases and affectionately dubbed "the sixth member" of Aerosmith for having contributed lyrics to several tracks released from the band. He also engineered and produced many multi-platinum Aerosmith albums including Toys in the Attic and Rocks, both of which ranked among Rolling Stone's list of the "500 Greatest Albums of All Time.” Douglas rose to prominence when the Record Plant Studio opened its doors and eventually engineered John Lennon’s Imagine and the Who’s Who’s Next EP. 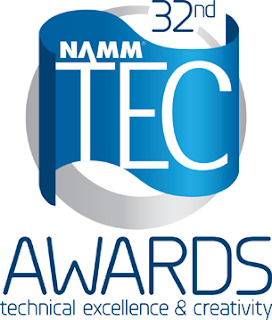 The NAMM TEC Awards celebrate the pro audio community by recognizing the individuals, companies and technical innovations behind today’s sound recordings, live sound, films, television, and video games. Outstanding Technical Achievement and Outstanding Creative Achievement nominees were announced earlier for the Saturday, January 21 event. Tickets can be purchased on site or in advance here for $50 (General Admission) or $175 (VIP). The show will be hosted by comedian Sinbad and will be available via a live event web stream during The NAMM Show. Berlin, October 12, 2016 – Native Instruments yesterday released TRAKTOR PRO 2.11.0, a free update that brings new features, more third-party hardware support, and fixes. After the stability updates in TRAKTOR PRO 2.10.3, this release adds new tools for creativity. TRAKTOR PRO 2.11.0 now features Ableton Link integration, making syncing TRAKTOR with other supported audio apps much easier. 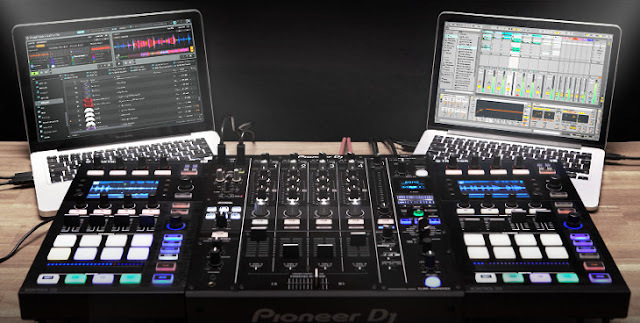 Whether it’s an iOS app, a desktop DAW like Ableton or other Link-enabled DJ software such as TRAKTOR or Serato DJ, users will be able to keep everything in time, either on a single computer, or multi-user over WiFI or an Ethernet cable. TRAKTOR also introduces a new Step Sequencer for Remix Decks, which allows users DJs to create rhythms on-the-fly across 4 rows of one-shot samples. Multiple TRAKTOR decks can be used for the Step Sequencer. Users can change samples and add effects/swing/filters to enhance your DJ sets. The Step Sequencer works out-of-the-box and on-screen with the TRAKTOR KONTROL S8 and D2, and as a user MIDI mapping for the TRAKTOR KONTROL F1. All Step Sequencer functions are also MIDI-mappable. Pioneer DJ CDJ-2000NXS2 multi-players now have HID support. View track information on the CDJ screen, use the built-in audio interface, and access all the important TRAKTOR PRO 2 deck features from your controls. The DJM-900NXS2 club mixer is now TRAKTOR SCRATCH Certified (TRAKTOR SCRATCH PRO 2 software and timecode required). The mixer’s dual audio interfaces facilitates seamless changeovers. 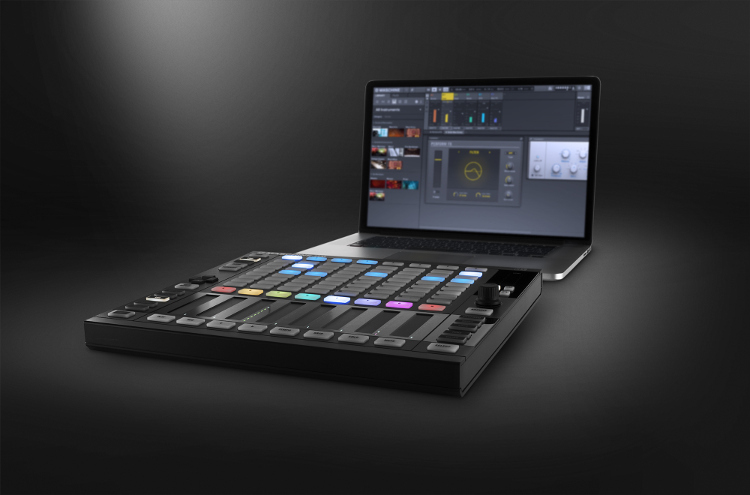 Allen & Heath’s newly-released XONE:PX5 4+1 channel club mixer also has TRAKTOR SCRATCH Certification. Included with the free update are five bonus Remix Sets for use with the Step Sequencer. The custom-tailored audio content delivers classic drum machine sounds and percussion samples to add texture to DJ mixes. TRAKTOR PRO 2.11.0 is available as a free update via the Native Instruments Service Center for existing users. 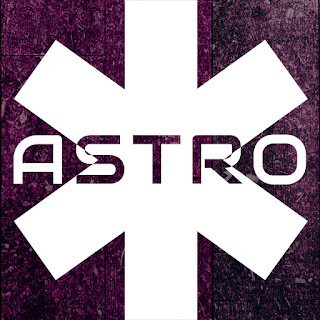 Astro Raph's "Wolf Pack EP" is released! Santa Cruz, Calif. Dateline October 24th 2016: Legendary engineer, producer, artist, and educator Alan Parsons continues his Master Class Training Sessions at Orb Studios in Austin, November 15th with powerful local rock singer, songwriter and multi-instrumentalist Casey McPherson as the recording artist. The Austin master class is the lastest of similar events held at Abbey Road, London, The Village in Los Angeles, Studio At The Palms in Las Vegas and Ocean Way in Nashville, where attendees pick up tips, tricks and insights into recording by actually getting to make a record with the multi-platinum producer and engineer. Artist Casey McPherson came to prominence fronting the prog rock supergroup Flying Colors, alongside Steve Morse, Mike Portnoy and Dave LaRue. McPherson also runs his own alternative rock band Alpha Rev, whose debut album produced by GrammyWinner David Kahne achieved chart success in 2011. The Austin masterclass looks at a range of classic rock instrumentation and techniques with guitars (Zak Loy and Wes Ardis), bass (Robin Mordecai), Hammond, Rhodes and vocals but also ventures into less traveled waters at the hands of drummer and master percussionist Tabber Miller who’ll also be employing Wavedrum and several tribal percussion instruments. The session will also feature violin from Brian Batch. Attendees will be part of the whole day’s work from micing the live tracking session to instrumental overdubs, vocal recording, processing, to an initial mix that will be provided to attendees at the end. In late-breaking news, Alan is now offering the chance for attendees also going to his concert at the Paramount Theater in Austin on November 17th to come to the soundcheck and hear a brief talk from himself and Alan Parsons Live Project F.O.H. engineer, Ross Pallone. Saban Theater - Beverly Hills, CA - In celebration of inspiring female creators and influential change-makers across the globe, TEDxWomen is pleased to announce TEDxCanonDriveWomen: “It’s About Time” - a one day event taking place in Beverly Hills Saturday October 29th 8:30am - 6:30pm. The conference will feature profound female leaders who will transcend a broad spectrum of relevant topics and share their experiences to spark deep discussions. TEDxCanonDriveWomen is just one piece of the exciting International TEDx event series that will encompass 270 cities across the world each year. Covering themes such as Healing with Alternative Medicine, Technology,Equality, Social Justice, Women as Industry Leaders, and more, the 2016 Beverly Hills installment of the worldwide TEDx series will host an incredible panel of distinguished speakers. Experts in their respective fields, the curated group of groundbreaking women set to appear at the conference will fully engage guests to form a collective of trust and knowledge while enlightening those gathered in attendance. 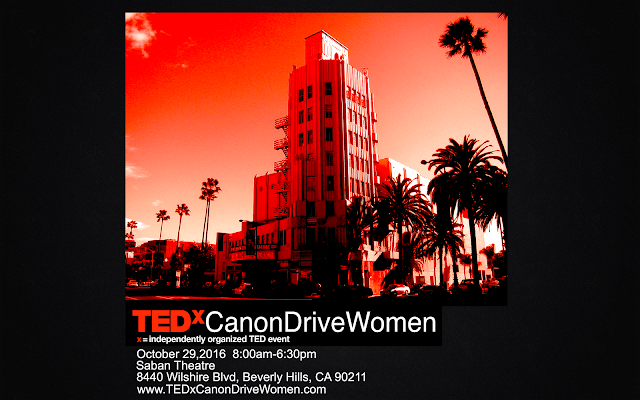 Alongside a few expected surprise honorary guests, the panelists set to appear at TEDxCanonDriveWomen: It’s About Timewill include Academy Award winning Producer Cathy Schulman, Editor + Academy and Emmy Nominee Maryann Brandon, Actress, Writer, and Producer Yareli Arizmendi, Beverly Hills Chief of Police Sandra Spagnoli, Creative Activist Katy Eldon, Professor of Medicine at UCLA Bevra Hahn, Two-Time Emmy nominee Branda Strong, Author and Business Woman Mallika Chopra, Esq, MBA, MS - Whistleblower Attorney Natalie Khawam, Actress and Director Joely Fisher, Intel’s Senior Director of Design Strategy Anjali Shastri, SAG-AFTRA President Gabrielle Carteris, and Comedian + Social Media Influencer Nicole Arbour. TEDWomen brings together a global community of women and men interested in exploring how change begins: with innovative thinkers who catalyze ideas toward action. Over the past few years TEDWomen and TEDxWomen have launched some powerful ideas into the world, inciting a global conversation from San Francisco to São Paulo to Seoul — celebrating movers and makers; designers and doers; local problem-solvers and global leaders. Want to join the conversation? Check out this It’s About Time video to hear what a few of the featured speakers and people around the world think it's time for! Post your own video on Twitter using the hashtag #itsabouttimetedxwomen or by clicking the “+” button in the video player to upload directly. Don't forget to share the video on social media and inspire others to join by voting, uploading clips, and passing it on. ​Share YOUR “It's About Time” story! Los Angeles, Calif., October 19, 2016 — Though producer, DJ, and multi-instrumentalist Zedd only began producing electronic music in 2009, his music quickly became a defining sound of contemporary electronic pop thanks to megahits likes 2012’s “Clarity” and 2015’s “I Want You to Know.” Having long used Antelope Audio clocking and conversion in his work, Zedd and his engineer had no trouble deciding on the powerful and versatile Orion Studio when they decamped their operation to Zedd’s home. Since the studio’s completion, Antelope Audio’s single-rack-space USB+Thunderbolt interface has delivered everything Zedd needs to continue crafting the synth-heavy pop masterpieces for which he is renowned. The Orion Studio’s 12 preamps give Shanahan the exact sound he wants for capturing the high-fidelity sheen of Zedd’s keys. “The preamps are extremely clean and transparent, which is great for any source, especially the keyboards which constitute the bulk of our tracking,” he says. “I have digital emulations that I can always use with guitars or anything like that if I decide I want to add coloration later. I’m happy getting the cleanest possible signal when recording.” The high-quality monitor outputs also provide the perfect signal path to Zedd’s monitor controller. We are greatly saddened by the passing of His Majesty King Bhumibol Adulyadej. His dedication, devotion, and dignity have inspired generations of Thai people. His vision and guidance uplifted the country and secured sustainable development for future generations. We feel proud to have served as subjects during his reign and his legacy will remain imprinted in our hearts. At this time of most profound grief at our sudden loss, and with our heartfelt dedication to pay tribute and respect to His Majesty King Bhumibol Adulyadej, we are obliged to announce the postponement of Wonderfruit to February 16-19, 2017 at The Fields at Siam Country Club in Pattaya, Thailand. All existing ticket-holders are eligible for a full refund, which can be redeemed via our ticketing agent, Event Pop, between November 1-30, 2016. We sincerely apologize for any inconveniences. More information on refunds and additional updates can be found on The Wonder Post section of our website. LONDON, UK (October 14, 2016) - Audio software developer FXpansion, now part of the leading music technology company ROLI, are pleased to announce the availability of BFD Black Album Drums produced by Chocolate Audio. This new expansion pack for BFD3 is inspired by the drum sound featured on the 1991 "Black Album" by the band Metallica. "We managed to track down the same exact kit, record in the same studio (the former One On One in CA), with the same mics and recording techniques as the original drums," said Simone Coen from Chocolate Audio "We also enlisted the skills of renowned recording engineer Mike Tacci who was the assistant on the 'Black Album'." The original 1980 Gretsch kit along with Zildjian Cymbals, a Ludwig 1970s vintage Black Beauty and a Tama Bell Brass snare were all lovingly recorded in meticulous detail by the same team as BFD Imperial and BFD Modern Retro. With 17 kit pieces in total, sampled with up to 286 samples per articulation and captured by a vast array of vintage and sought after mics including high hanging Neumann U87s, AKG C12s and Telefunken ELAM 251E tube mics, this pack captures one of the signature sounds in the history of Rock music. "Being in this room again brings back a lot of memories, but it feels like yesterday." said Mike Tacci, engineer for the Black Album Drums. "The room hasn't changed at all, the acoustics are the same and it's an amazing sounding drum room. It's an historic room for Rock records." BFD3 is the third generation of FXpansion's flagship software acoustic drum studio, delivering new levels of detail and realism with stunning new kits, mix-ready presets and modeling technology for tom resonance and cymbal swells. The revamped interface has a new mixer and sound browser for the easiest BFD experience yet. Old Lyme, Conn., October 3, 2016 – Following the release of her UK number one album, The Hope Six Demolition Project, English singer-songwriter and multi-instrumentalist PJ Harvey has been out on the road, headlining some of Europe’s most prestigious music festivals to much critical acclaim. Her summer touring schedule, along with her 9-strong band of world-class musicians, has included appearances at the likes of Glastonbury, London’s Field Day, Primavera Sound, and Rock Werchter to name but a few. PJ Harvey’s vocal microphone of choice on these shows is a Sennheiser super-cardioid MD 431. Harvey’s Front of House engineer is Howard ‘Head’ Bullivant, who has been working with her since 1990 when he recorded her first demos and co-produced her debut album Dry. Since then, he has worked as producer, engineer or mix engineer on five PJ Harvey albums, plus a number of other live and collaborative albums. He toured as mix engineer on her first tour in 1992 and has been involved in almost all of her live shows since 2003. He has been specifying Sennheiser microphones even longer. It's time for a new MaxforLive visualiser from original Isotonik Collective member Ned RUSH! As our most in depth visualiser yet you have more controls in this device than any before it, to have an understanding of just how many there are and how effective they can be then check out Ned's walkthrough video at the bottom or take a moment to see what can be achieved in our demo video at the top! AES Booth #629, Los Angeles (September 29, 2016) - Soundelux USA has released the U195 cardioid fet P48 microphone. Based on the original Soundelux U195 in production from 1996-2006, and the Bock 195 in production from 2007-2014, the Soundelux USA U195 features a new improved k67 capsule while maintaining the famously innovative "FAT" switch low-frequency control and it's unparalleled massive output transformer. The U195 is a versatile phantom-powered single, low-noise, wide-band fet mic coupled with Soundelux USA's new super smooth k67 capsule. Add to this a classic, massive output transformer along with a unique "FAT" switch, and you have the ultimate Swiss Army Mic capable of handling any studio chore you can throw at it. 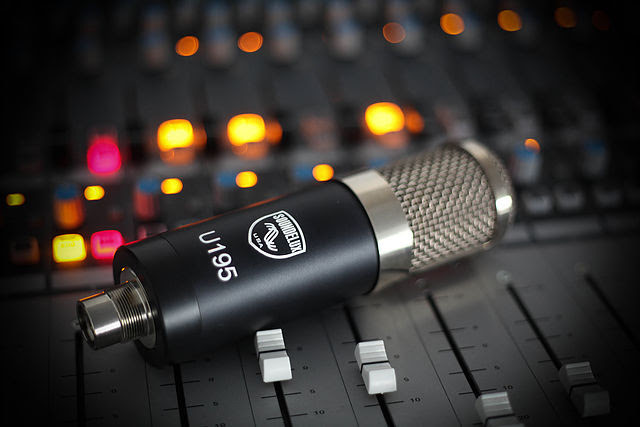 "The U195 can satisfy a wide range of applications for engineers and studios that may have a few expensive models, but need to fill out their mic cabinet without breaking the budget," said David Bock, who makes the microphones in California. "This mic provides remarkable fullness and presence with exceptionally low background noise on everything from vocals and acoustic instruments, to guitar cabinets and drums." While the U195 is based on the platform of a very famous mic, this new Soundelux USA version was optimized removing the patterns, removing bandwidth restrictions, multiplying the transformer size and removing the atonal inharmonic fet bias system, resulting in superior musicality at a shockingly lower cost. The Soundelux USA U195 features a pad switch, lo-cut switch, and a "fat" switch, allowing you to carve the desired tone. The also mic comes with a metal threaded stand mount. The Soundelux USA U195 Microphones carries a US MSRP of $1,249. To find a stocking dealer, please visit http://www.bockaudio.com/#!find-stocking-dealer/c923 or email bockaudioorders@gmail.com. Boom Festival, Idanha-a-Nova Lake, Portugal - Every two years the vast terrain of Idanha-a-Nova Lake, Portugal transforms into the sacred lands of Boom Festival, an unrivaled European collaborative space for artists, dreamers, dancers and visionaries. 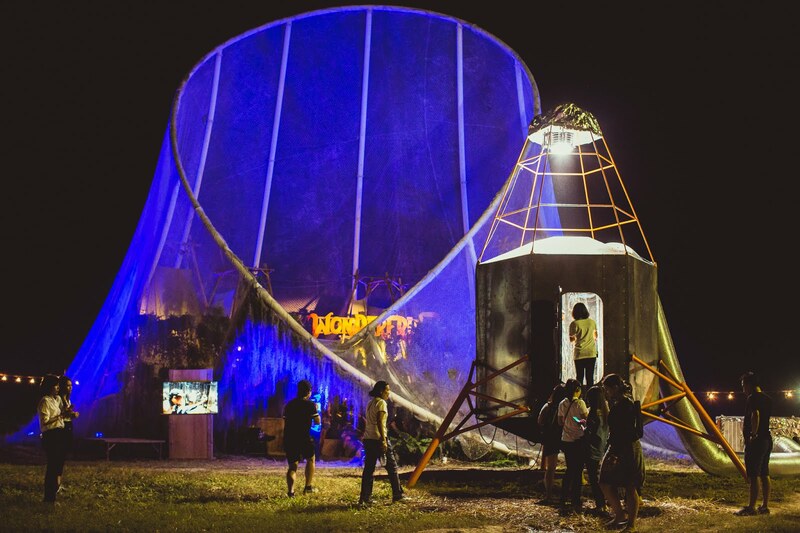 In beautiful alignment of creation and innovation, Los Angeles-based masters of event production, Do LaB, made their third pilgrimage across the globe to Boom Festival this past summer to collaborate with multidisciplinary design firm, Vita Motus,on their grandest engineering triumph to date - the Boom Dance Temple. Eclipsing previous stage installations in both sheer magnitude and architectural prowess, the Boom Dance Temple is a reflection of Do LaB’s innate ability to enchant revelers with inspired designs, bold architecture and signature technicolor schemes, enveloping Boom Festival attendees under its impressive embrace. Ten full months of planning went into assembling the largest structure Do LaB has erected to date - at 50,000 square feet, the Temple measured the equivalent to two and a half “Big Fish” (fondly recognized as the Do LaB Stage at Coachella). The main goal of the monumental undertaking was above-all to forge an un-obstructed dance floor to ensure pulsating flow and the purest soundscape fathomable. Berlin, September 29, 2016 – Native Instruments today released MASCHINE JAM – the unique music production system for quick, intuitive track arranging and advanced performance. MASCHINE JAM offers music makers a versatile workflow designed to swiftly capture and develop musical ideas using hands-on, multi-track step sequencing and touch-sensitive controls. With the included MASCHINE 2.5 software, MASCHINE JAM is an integrated production system, and works seamlessly with KOMPLETE, third-party plug-ins, and all popular DAWs. It can also enhance workflow when combined with other MASCHINE hardware or a KOMPLETE KONTROL S-Series keyboard. MASCHINE JAM is now available at the NI Online Shop and retailers worldwide.